I never thought we'd be sledging in Snowdonia in November. Fantastic but I hope this is the start as there isn't much of a base yet and the ice is only just starting to form. Well, winter is upon us here in Snowdonia so I couldn't resist a quick trip up Carnedd y Filiast with my dog (Barti) this morning. The winds have been quite strong so there wasn't that much snow about but the new stuff that fell this morning was falling as large and small graupel. Freezing level was about 300m with a cold northerly wind but nothing like as bad as the Met Office forecast suggested. I forgot my camera today so you'll have to make do without some eye candy I'm afraid. I drove over to the Manchester Climbing Centre with Leo and Nick from the Beacon today to participate in the National Indoor Climbing Achievement Scheme workshop. The day was set up for course directors and technical advisor's involved in the delivery or support of the scheme. It was well attended and we found it to be a very useful day. I was working on the second module of a Mountain Leader (summer!) training course this weekend at Plas y Brenin. The Saturday was a local day talking about issues such as weather, the role of a Mountain Leader and access and the environment. Today we wondered up Glyder Fawr (1001m!) from Pen y Pass to look at a mountain day from the perspective of a mountain leader. We looked at group management, navigation with 1:50,000 maps and route finding. 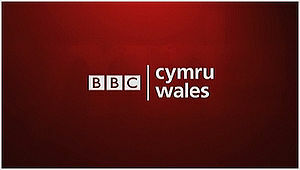 BBC Cymru/Wales called round today for an interview regarding the cutbacks in local government budgets and the implications for outdoor education centres in the local community who are in the direct firing line. As usual, politicians are looking at easy targets to save money rather than looking at the long term proven benefits to the local economy as well as the huge benefits to young people in term of educational advantages and life skills. They should look a bit closer to home if they'd like to save money - are MP really worth £66,000 plus perks? I was out with the kids today and decided to go for a walk in the forest across the way from Plas y Brenin. We didn't go very far but had some spectacular views of Snowdon (looking cold with a dusting of snow) and found loads of bracket fungus. I went down to London on Wednesday to carry out some in-house assessments for an Independent school on their outdoor climbing and abseiling towers. It was lucky they had floodlights as we didn't stop until about 6 o'clock. The next day I assessed 3 staff (1 from a different independent schools) for their Climbing Wall Award. We went over the Craggy Island to conduct the main Climbing Wall Award assessment and the school's tower for the abseil and top roping module. All successfully completed both aspects of the assessment. The usual challenge was to get home without incident and to negotiate the M25 and the M6/5 junction in good time - five and a half hours later I was home in windy Snowdonia. There was snow down to about 600m today so I decided that we should stay low as the award is a summer award. We went up the direct route up to Cwm Cneifion and then up Seniors Ridge until we turned back due to the wintry conditions. We descended the North West Face Route back to Cwm Idwal. The photo is of the high point on Seniors Ridge looking towards Y Garn. The next module will be in two weeks time. I started a modular mountain leader training course through the medium of Welsh today for Plas y Brenin. The course will be run over 4 weekends between now and Christmas. We covered micro navigation today which set the foundations for more challenging terrain tomorrow and the coming weeks. We were working over on the path to Crafnant today to the side of Crimpiau and managed to stay dry all day with fantastic views over to Snowdon. 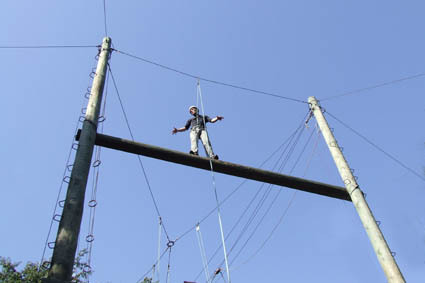 I was over in Bedford yesterday running a High Ropes instructor training session at a local outdoor centre. It was a good turn out with 11 people on the course. The only problem was the journey home with accidents, roadworks and weather all conspiring against me. Makes me grateful that I live in Snowdonia. I was working over in Ireland again this weekend to run a teaching to lead and improvised rescue workshop. Baggy came with me to help with the ratios but unfortunately there were only 3 on the weekend which worked out really well for trainee MIA candidates Rob, Ciaran and Angela. We went over to Dalkey Quarry (Dublin) for both days and considering the weather forecast was supposed to be horrible it turned out lovely on the first day and just about OK but a bit damp on the second. The trainees were really keen and my thanks goes to Rob and Debbie for putting us up, feeding us and making us feel welcome over the weekend.